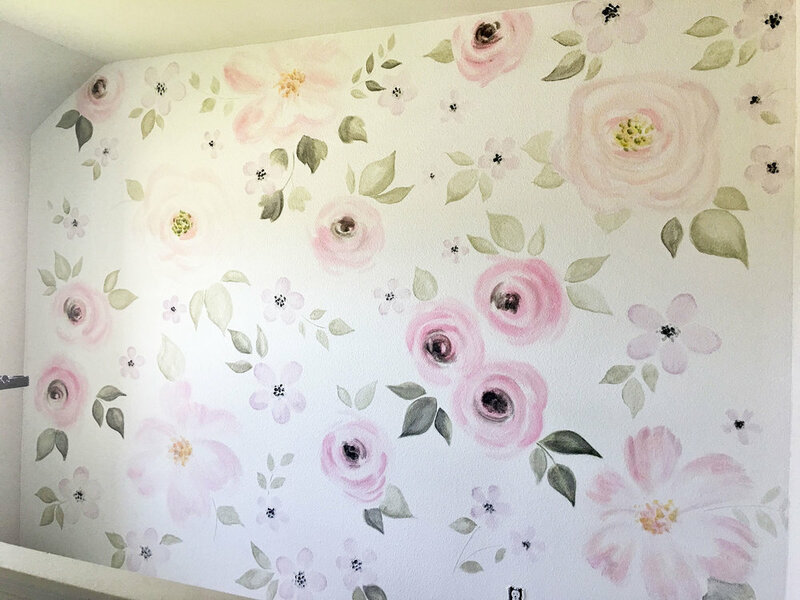 Pink florals were the perfect setting for this baby girl’s nursery. 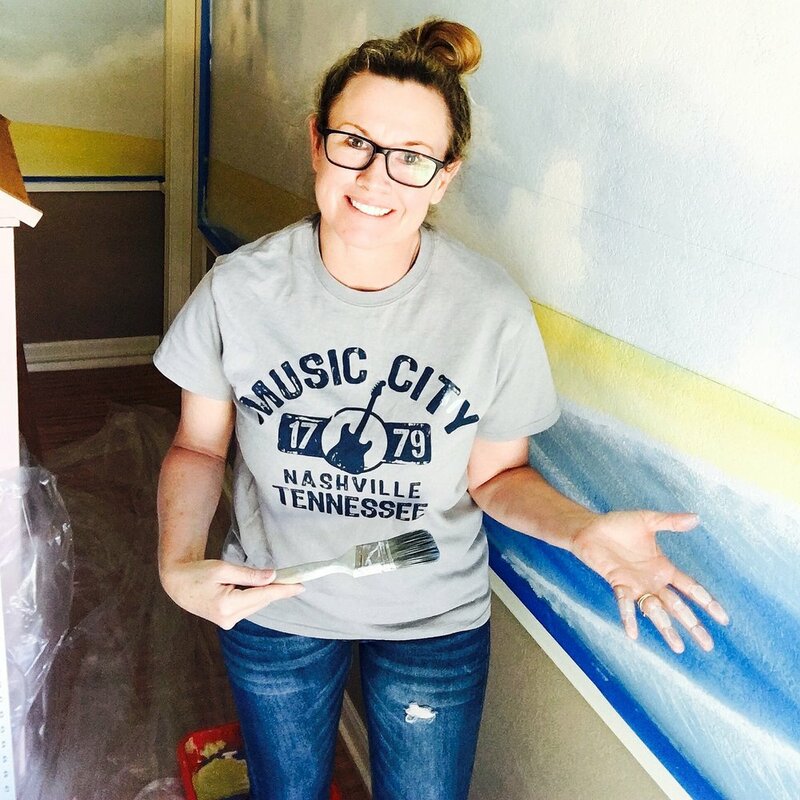 The idea came from a wallpaper that the client picked out, but she wanted it painted, so I tweaked it to make it my own. Her walls were actually painted a very pale gray, but the floral wall background is painted in “ Polar Bear “ by Behr. I used flat non toxic paint and the wall size was 12x9’. They were putting white nursery furniture in here, which I’m sure turned out beautiful.